The inaugural Australia-France Defence Industry Symposium is taking place in Adelaide this week, marking a significant step forward in reinforcing defence industry ties between the two nations. 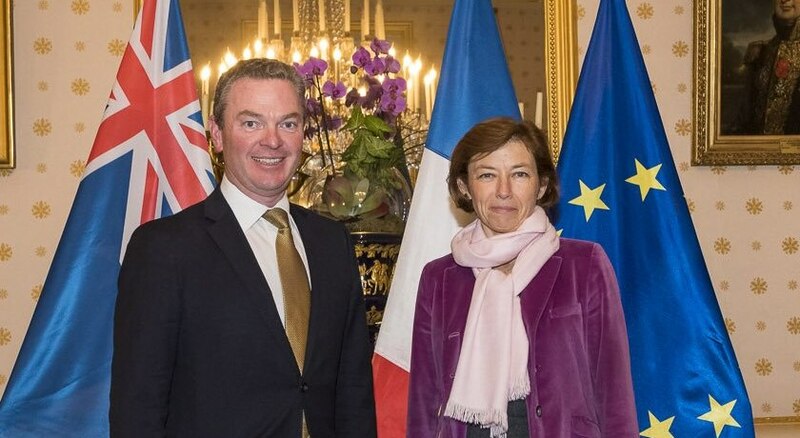 Minister for Defence Christopher Pyne opened the symposium and was joined by the French Minister of the Armed Forces, Florence Parly, marking one of the first projects to be delivered as part of the Australia-France Initiative (AFiniti). The establishment of the annual Australia-France Defence Industry Symposium as part of the broader AFiniti framework was announced in May during a visit by the President of the France, Emmanuel Macron. Both Australian and French defence industries will be well represented, with participants including defence primes Thales, Safran and Airbus, together with small to medium enterprises seeking to contribute to major capital projects and explore opportunities for collaboration. Minister Pyne said, "Defence industry lies at the crossroads of national and economic security, so strengthening the linkages between our defence industries will be a multiplier for our bilateral relationship. Australia’s Future Submarine Program is the cornerstone of our defence industry relationship with France, but the Symposium demonstrates the relationship is set to grow further." AFiniti will strengthen collaboration on emerging priorities and usher in a new era of Australia-France cooperation. The symposium will bring together government ministers and representatives from France and Australia, defence industry players and peak industry bodies. In addition to Minister Pyne and Minister Parly, speakers and panellists will include Pierre Jaffre of Airbus, Herve Guillou of Naval Group, Chris Jenkins of Thales Australia, and senior Australian Department of Defence representatives, including Rear Admiral Gregory Sammut, Head Future Submarine Program. "The symposium will provide a forum in which Australian and French industry leaders can come together to identify complementary capabilities and mutually beneficial opportunities, I look forward to seeing the fruits of these new connections deliver long-term benefits to both nations’ respective industries and warfighting capabilities," Minister for Defence Industry Steven Ciobo said. Australia and France have developed a robust defence industry relationship through a number of major projects, ranging from the Air Force KC-30 Multi-role Tanker Transport (MRTT) program delivered by Airbus, the Army's ARH Tiger and MRH-90 Taipan Helicopters and the upcoming $80 billion SEA 1000 Future Submarine program, which will see the 12 regionally superior submarines delivered to the Royal Australian Navy. The symposium is an opportunity for Australian and French businesses to share their experiences and identify complementary capabilities, engage with government officials, network with defence primes and other industry players, and participate in Austrade and Team Defence Australia workshops. "This visit is an important step in further developing the Australia-France defence relationship. During the meeting Minister Parly and I discussed the Future Submarine Program and worked on advancing the defence cooperation opportunities announced during President Macron’s visit to Australia in May this year," Minister Pyne said.